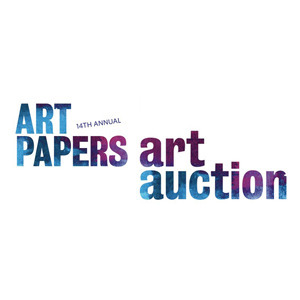 To provide full event management for Art Papers Annual Auction by working directly with our client’s staff and board of directors. Annual attendance is between 1500-2500 guests and attracts both art buying patrons and a general public that are there to attend a great party. There are two events, one is a collectors’ preview party with a limited audience of 500 guests, followed by the major event the following night, which includes managing high volume registration, check-in and overall logistics, as well as online marketing. Both events require management and selection of restaurants as well as management of bar staff and volunteers. Event production included developing and managing a new electronic confirmation process as well as collating all registration and artist details. A running order was devised with realistic timings to ensure that appropriate time was allocated to each aspect of the installation, including artist drop-off, installation of art, restaurant and catering delivery and setup, as well as our development of needs list and collecting bar supplies. To manage the various aspects of the events, PennHouse recommended a new IT management program through True IT Pros, who created a customized web based database interface which was merged with a secure online management system. The artist application and selection process were both managed electronically though the online system, and the client was ultimately able to print the bid sheets directly from the system, which saved innumerable hours of manual data entry. Once a list of artists was produced and approved, notification was sent to all of the approved artists. Data such as address, qualifications, and jpeg images were collated. On-site management was provided by the PennHouse Productions team, who ensured smooth running of the event and made sure the client’s staff was able to fully concentrate on their content, delivery and networking opportunities. The events were a huge success with both the client’s event objectives met as well as an excellent guest experience. The client had been able to focus on the sale of art and the cultivation of donors and relationships. The client was impressed that both events ran so smoothly and that all attendees had a fantastic evening.